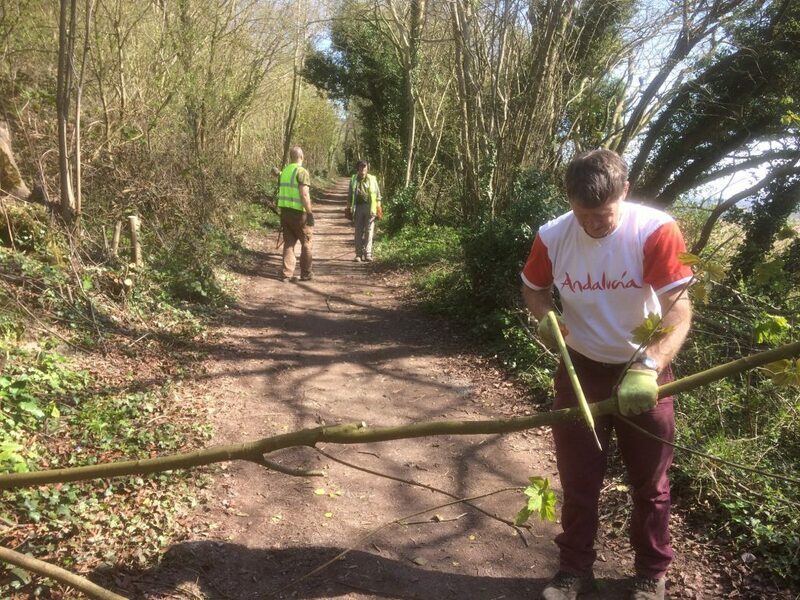 The Ashford volunteer team enjoyed time clearing back branches and larger material, to ensure a clear passage for all along a section of the North Downs Way near Charing. The wildflowers are blooming and everything is springing to life. LOVELY! Too, Orange tip and Brimstone butterflies were enjoying the warmth in the more open ride areas.